Are you puzzled by .au file extension and want to figure out what is AU format exactly? In fact, AU format is a lossless audio format from Sun Microsystems. It features high sound quality and plenty of audio encoding formats. It is a pity that AU format may have some supporting issues sometimes. So here comes a clear question: how to play AU files with no trouble? The recommended solution is choosing a professional AU File Converter to convert AU files to common MP3, WAV, FLAC, M4A, WMA, ALAC, AIFF, AC3 etc. In this way, you can easily play AU files with no trouble. Besides, the recommended AU audio converter also supports converting audios to AU for your convenience. AU Decoder: Convert AU files to common audio formats like convert AU to WMA, convert AU to FLAC, convert AU to OGG, convert AU to M4A, convert AU to ALAC, convert AU to AIFF and more freely. So it is quite easy to play AU files without trouble on iTunes, iPad, iPod, iPhone Windows Media Player, Android, Samsung, QuickTime, iMovie, DVD and more players or devices. AU Encoder: Enables to convert audios or videos to AU like convert MP4 to AU, convert WMV to AU, convert FLV to AU, convert MKV to AU, convert MOV to AU, convert AVCHD to AU, convert FLAC to AU, convert MKA to M4A etc. with simple steps. 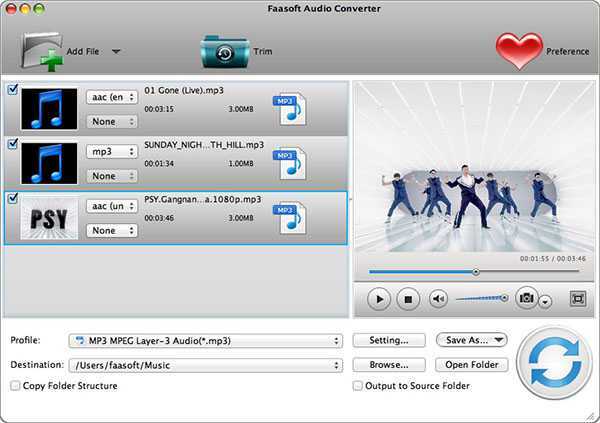 AU to MP3 Converter: Support converting AU files to MP3 with high sound quality. AU to WAV Converter: Convert AU audios to WAV format with no trouble. MP3 to AU Converter: Feature to convert MP3 files to AU as your demand. WAV to AU Converter: Aim to convert WAV files to AU format for enjoying. Total Audio Converter: AU file converter is able to convert among all the audio formats with the desired effects. Audio Extractor: AU audio converter helps extract audios from any video formats like WTV, ASF, AVI, DV, DivX, Xvid, F4V, SWF, MXF, WebM, OGV, MP4, MPG, MOV, M4V, FLV, VOB, AVCHD, R3D and so on. AU Converter has some audio editing functions such as cut AU files, trim AU files, rename AU files, merge AU audios, split AU files, adjust AU bitrate, resolution, boost AU sound volume, etc. 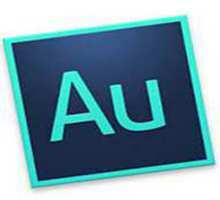 How to Convert AU Audio File to MP3, WAV and Vice Versa? Free download AU Converter (For Windows, For Mac) to your computer. Get it started when all is ready. Click “Add File” button to load files to AU audio converter. Or drag and drop files to the software. Click “Profile” drop down button to select the wished format from AU audio converter. To convert AU to MP3, WAV, WMA, FLAC, M4A etc., set the corresponding format from “Profile” drop down button. To convert audios to AU format, set the format as AU from “Profile” drop down button. To edit files, click “Effect” “Trim” “Preference” “Setting…” button on AU decoder to do it. Click “Convert” button a convert files with AU decoder. There is no doubt that AU Converter is a good AU decoder that can convert AU files to WAV, MP3, WMA and a nice AU audio converter which helps convert MP3 or WAV to AU. Why not free download this powerful AU file converter to start enjoying right now? This entry was posted in Audios and tagged au android, au audio converter, au converter, au decoder, au dvd, au file converter, au ipad, au iphone, au ipod, au itunes, au windows media player, convert au to mp3, convert au to wav, convert mp3 to au, convert wav to au, convert wma to au. Bookmark the permalink. ← MKV to WTV Converter for Windows/Mac: How to Convert MKV to WTV Easily?